Don’t look now, but Microsoft’s Business Intelligence & Analytics solutions just blew past Tableau. 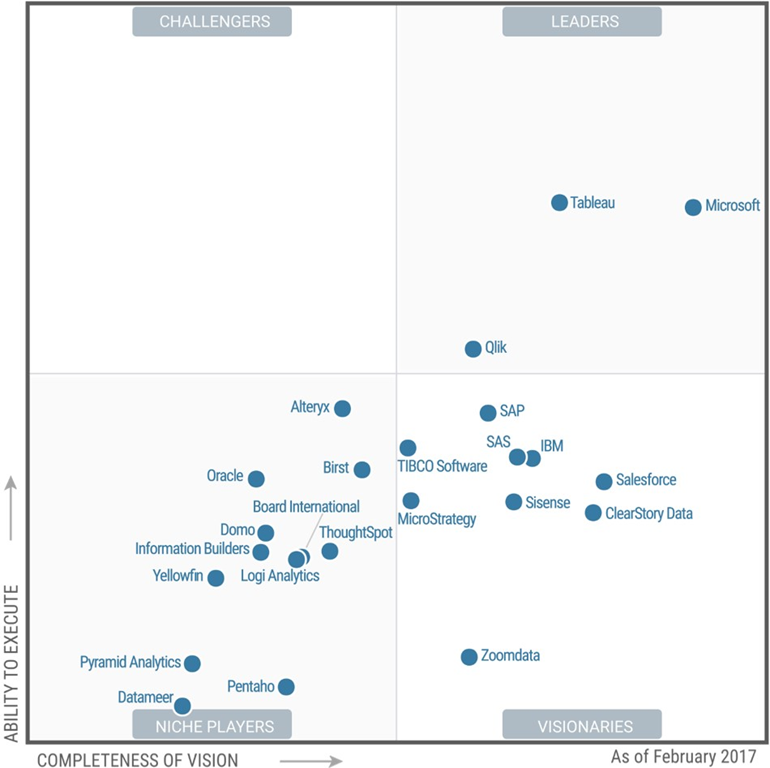 For the second year in a row, Microsoft has been positioned furthest to the right for completeness of vision within the Leaders quadrant of Gartner’s 2017 Magic Quadrant for Business Intelligence and Analytics Platforms – the 10th consecutive year Microsoft has been positioned as a leader. « RELEASE: Create your own Microsoft Bot with this FREE 3-step Wizard!